Here is a short well-written article on hedge fund regulations and why additional regulation targeting hedge funds may never be put in place. Hedge fund managers oversee $1.9 trillion in assets, but no one knows what they invest in or even what those assets are actually worth. That's because hedge funds are not regulated and consequently aren't required to make the same detailed financial disclosures that are required of publicly traded companies. This mystery product comes with a Rolex price-tag. Hedge fund managers generally keep 2% of invested assets and 20% of the profits, known as the "two and twenty rule." The combination of potentially huge financial rewards and lack of transparency may foster ethical lapses, Thomas Donaldson, Wharton professor of legal studies and business ethics, said during a recent talk on hedge fund ethics. "Remember, some of these are hard-to-value assets, like collateralized debt obligations and credit-default swaps. When you're growing mushrooms in the dark, you might be tempted to paint a rosier picture." For the week that ended on November 7, hedge fund selling contributed heavily to steep stock market declines. Several prominent hedge funds are facing the double-whammy of demands for cash from both investors and lenders. Those demands force selling of stocks but also are keeping about $400 billion of cash on the sidelines as fund managers brace for the worst. Donaldson defines hedge funds as "privately owned financial firms that raise money from large investors, including individuals, pension funds and charities, for the purpose of increasing the value of the investment." The definition is broad, he said, because hedge funds are subject to so few limits. "The term 'hedge funds' is a loose-fitting blanket that covers a bewildering array of financial strategies," he noted in a paper that was the basis of his talk. "They are capable of doing just about anything to achieve their ends. 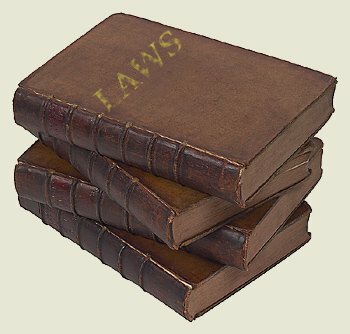 Read more regulation and compliance related articles within our law section: Hedge Fund Regulation Corner | Compliance & Law Notes.